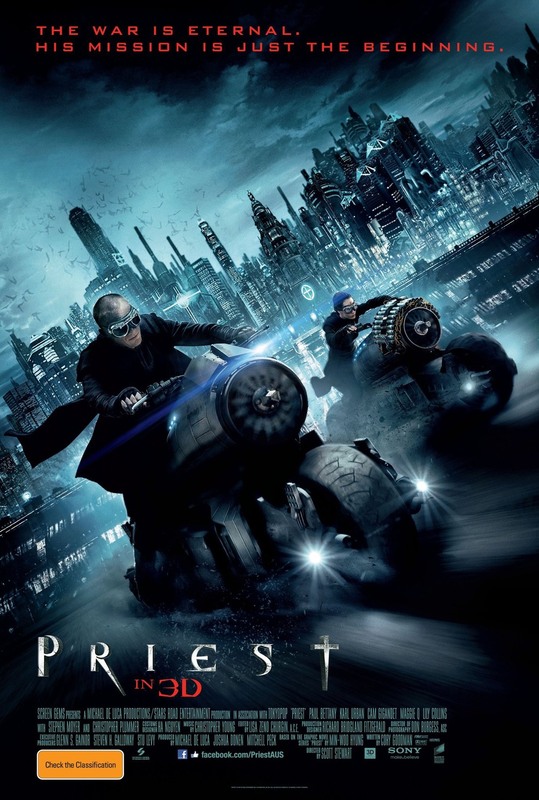 Sony Pictures has released this cool new international poster for the film adaptation of Priest. I would love to be excited for this movie, but it was made by the same team that made the film Legion. It has a cool hyper stylized look, and some fun action-packed madness, but I just hope the script is good. To watch the full trailer for the film click here. The film stars Paul Bettany, Maggie Q, Cam Gigandet, Karl Urban, Lily Collins, Brad Dourif, Stephen Moyer, and Christopher Plummer, it's set to hit theaters on May 13th 2011!